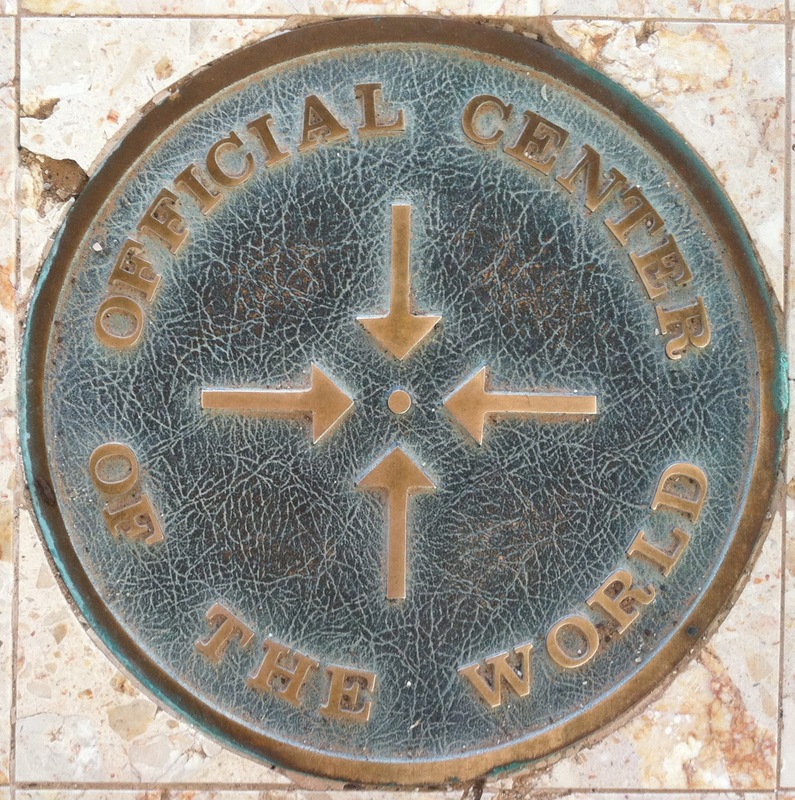 Today we stood on the Official Center of the World!! 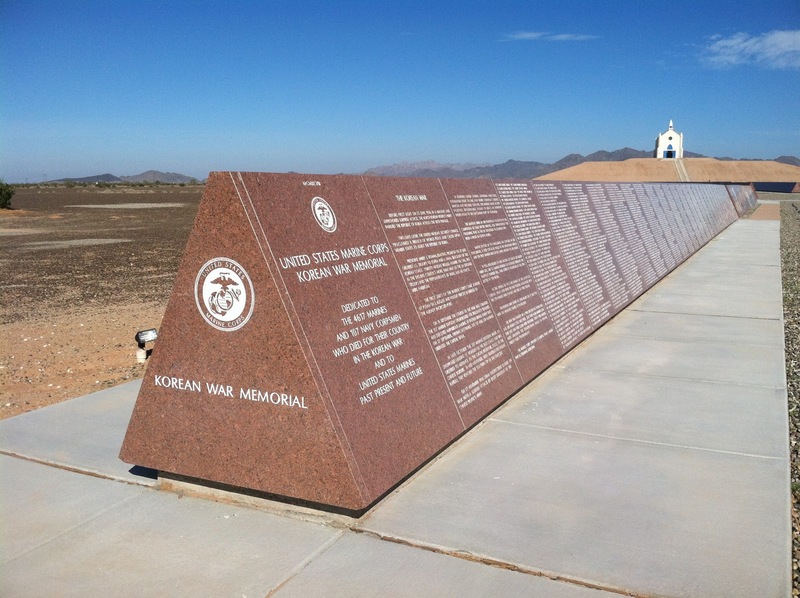 It is located just west of the Arizona/California border on Interstate 8. Frenchman Jacques-Andre Istel somehow convinced Imperial County, California, to legally recognize a spot on his property as the official Center of the World. Then he built a town around it, named it Felicity (after his wife) had it incorporated, held an election and was unanimously (2-0) elected Mayor. You stand on the spot, make a wish, and you get a certificate stating that you stood at the Official Center of the World. 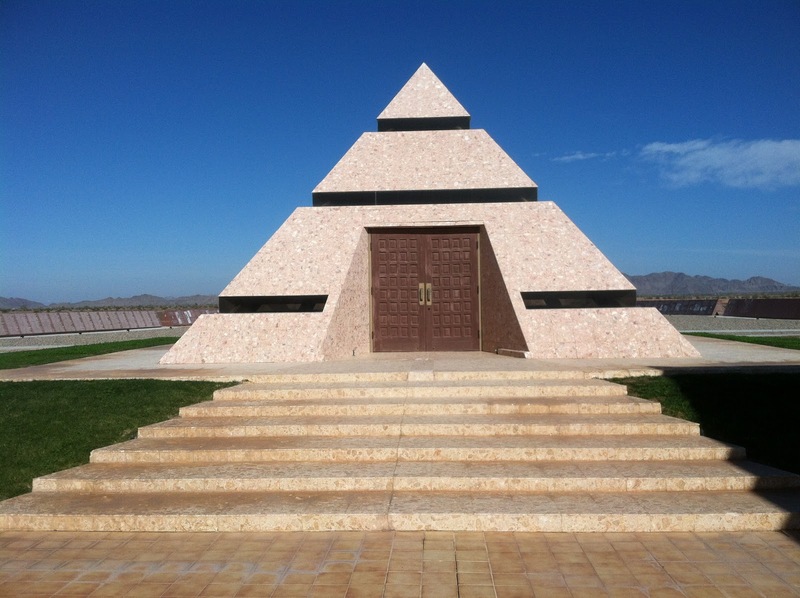 The Center of the World bronze disk is in this mirror-lined, pink granite pyramid. 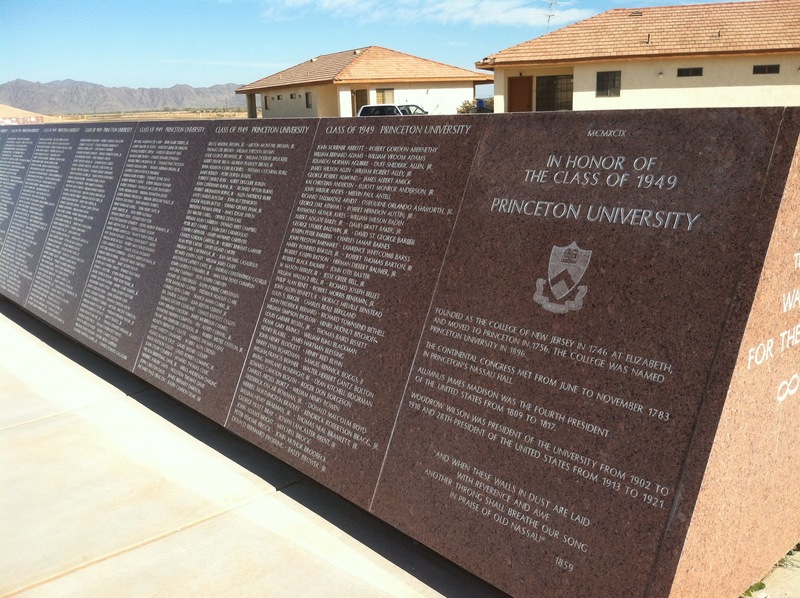 There are currently 100 granite panels, and plans for many many more, etched with history. 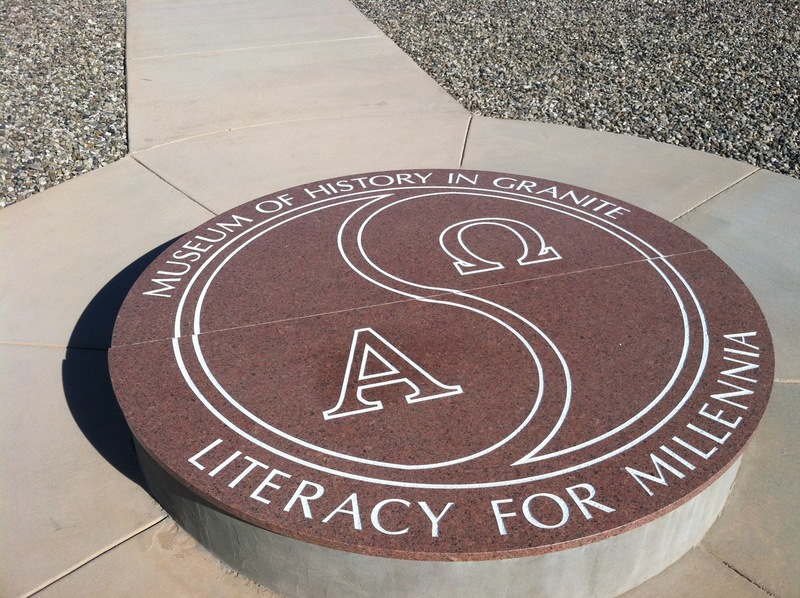 This is only some of the history in granite. And there is a Wall For The Ages that is open to anyone who wants to have engraved on it his or her name for $200. At first I thought it was a bit hokey but after being there a while it was really rather interesting. Only a few miles west of that are the Imperial Sand Dunes, the largest mass of sand dunes in California, approximately 45 miles long and 6 miles wide. This is the most popular off-road destination in Southern California. 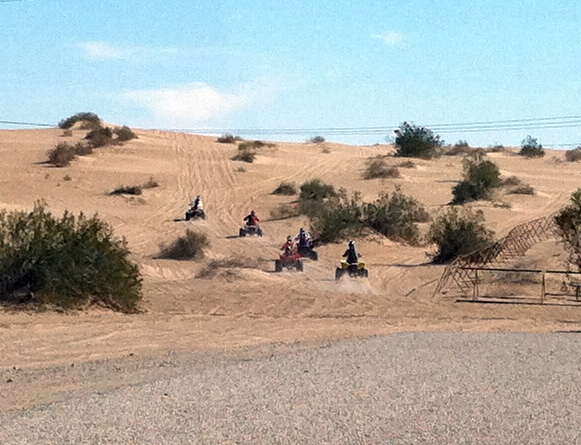 We saw several groups with RVs and 4-wheelers. What a fun thing to do with a group! Doesn’t that look like fun?? The area where we were is right on the Mexico border. You can see the border fence near the horizon on this picture below. The trucks are Border Patrol agents with cameras and electronic surveillance equipment. And then there are the remains of the old Plank Road, an Historic Landmark. 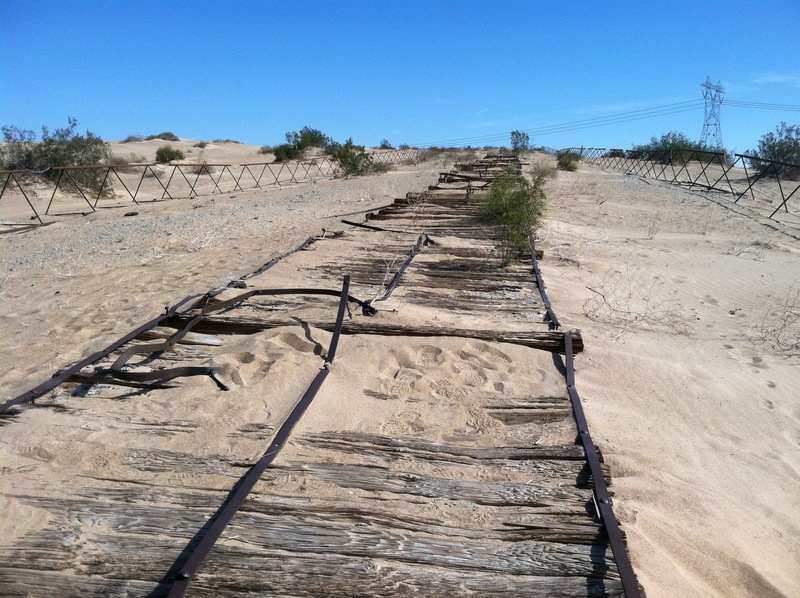 For a time, 1916 to 1926 this was the only way to get across the dunes from Phoenix to San Diego, other than going to Los Angeles first and then south to San Diego. Can you imagine traveling this?? 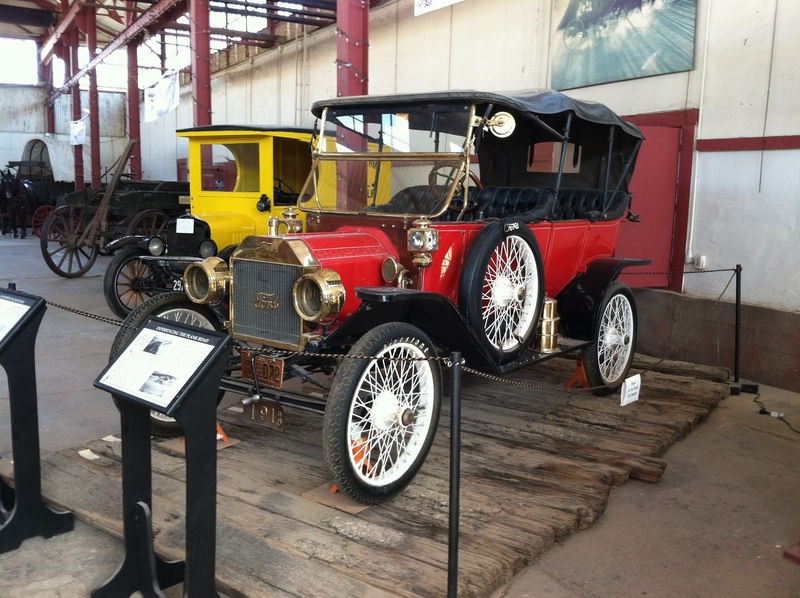 This was at the Quartermaster’s Depot in Yuma. Displaying the Plank Road travel.